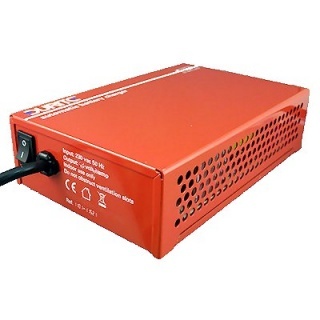 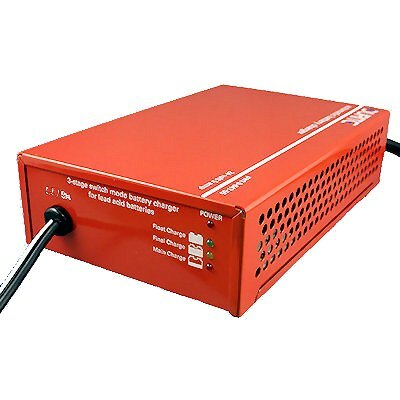 Durite's automatic automotive battery charger, 12 volt 10 amp, for all lead/acid batteries, including sealed for life, gel and maintenance free. 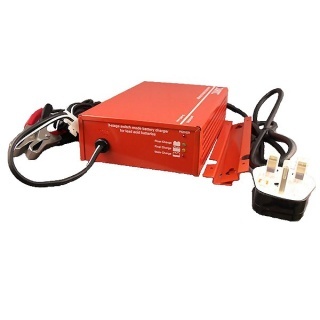 Micro chip controlled three stage charging, allowing the charger to be left permanently connected to maintain a fully-charged status without harming the battery. 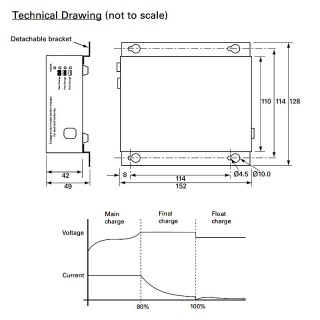 If the battery being charged is below 8 volts the charger will not detect the battery and will not start. 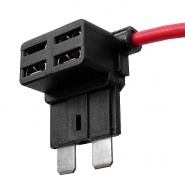 Can use 0-647-96, 0-647-97, 0-647-98 and 0-647-99 charging lead sets. 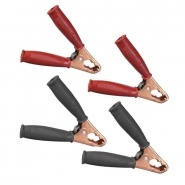 Pack of 4, 2 red handled, 2 black handled, 200A crocodile clips, solid copper, 183mm long, jaw opening 40mm. 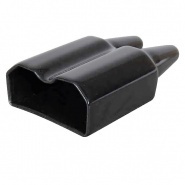 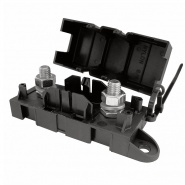 Cable exit PVC protective cover, for durite 350A connectors part number: 0-431-35 and 0-432-35. 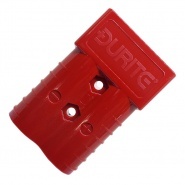 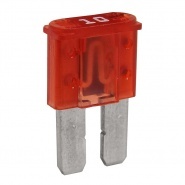 Durite 350A high current battery connector, silver plated solid copper terminals.